The massive breach at Yahoo means that a treasure trove of stolen data is in the hands of hackers -- putting millions of internet users at risk. At least half a billion Yahoo accounts have been affected in one of the biggest data breaches in history. Information including names, email addresses, telephone numbers and hashed passwords may have been stolen. Yahoo has blamed the attack on a "state-sponsored actor," but it's far from clear who hacked the internet company and how the culprits pulled off the attack. Blaming it on a state-sponsored actor, however, indicates that Yahoo may have found evidence that the hackers were targeting the company over a long period of time, said Vitali Kremez, a cybercrime analyst at security firm Flashpoint. Stealing data on 500 million accounts is usually no easy task, he added. "The hackers probably attacked slowly, and quietly, without anyone watching," Kremez said. "They couldn't just come in and take the grand piano." Prior to Thursday's confirmed breach, Yahoo had already been investigating another leak. In August, an anonymous hacker was found selling a database with login details on 200 million Yahoo accounts. The company hasn't said if the two incidents are connected. Still, Alex Holden, CIO at security firm Hold Security, wonders how many hackers are in possession of the company's stolen database. "The Yahoo data breach will have a much bigger impact than almost any other breach that I can speak of," Holden said. "Yahoo was once the number one email provider." According to Yahoo, the breach disclosed on Thursday involved data taken from late 2014 -- meaning hackers had two years to secretly capitalize on what they stole. 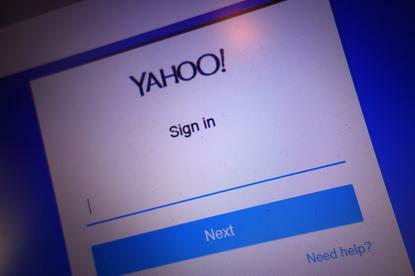 Security experts like Holden have noted that some people rely on Yahoo email for work purposes, putting corporate information potentially at risk. Why it took so long for Yahoo to find out and inform the public wasn't clear from the company's statement on the breach. "This is probably the worst thing that could have happened," said Brad Bussie, director of product management at Stealthbits Technologies. "They (Yahoo) were probably trying to find the best way to break this info to the press." The hack also surprised Verizon, which recently agreed to acquire Yahoo. It said on Thursday that it had only learned about the breach within the last two days. "We will evaluate as the investigation continues through the lens of overall Verizon interests," the company said. Yahoo is already notifying the affected users, and working with law enforcement to investigate the incident. The company added that most of the passwords stolen were hashed with bcrypt, making them exceptionally difficult to crack. However, the stolen data from Yahoo can be used in other ways to attack victims, Bussie said. The stolen email addresses alone put users at risk of spam attacks and the additional information could be used to trick users into divulging more information about themselves. The stolen data from Yahoo also includes the security questions and answers used to protect their accounts. "Most people use the same questions and answers on multiple sites, even for the corporate ones," Bussie added. Even though it may be time-consuming, he advises that affected users change their passwords and security questions, not just at Yahoo, but across all their internet accounts. As shocking as the size of the breach is, security experts aren't surprised it happened. Yahoo is just the latest high-profile company to fall victim. Earlier this year, Dropbox, LinkedIn and Myspace also reported data breaches affecting millions of user accounts. Hackers and data hoarders have been trading the information online. "When you start combining all these different data dumps, you get some valuable information on internet users," said Jeremiah Grossman, chief of security strategy, at SentinelOne. "It makes it easier for all kinds of hacks, state-sponsored or cyber crime."